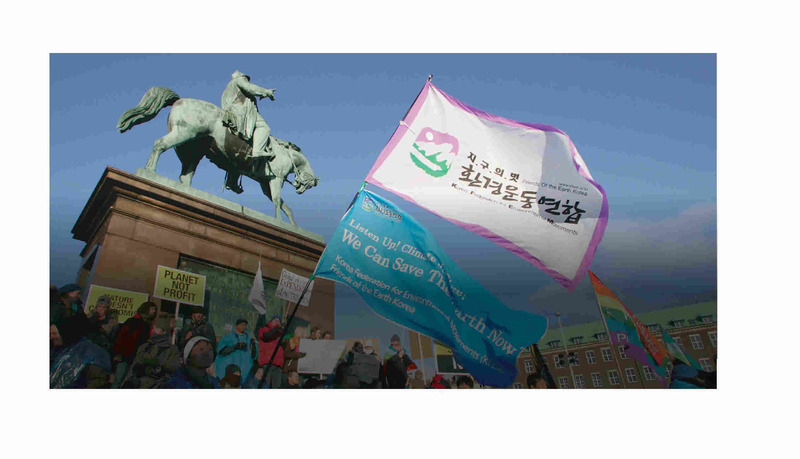 The Korean Federation of Environmental Movement strives to create a world where both nature and human rights are respected. KFEM’s visions for life, peace, ecology, and bottom-up participation are, in part, the product of the international environmental cooperation embodied by the 1992 Rio Conference in which over 50 Koreans from various NGOs participated. Since KFEM obtained the Special Consultative Status accreditation to the United Nations Economic and Social Council (ECOSOC) in May 1998, the organization has helped to implement the UN agenda within the Korean society, and has played a major role in promoting the UN’s universal values. KFEM has been conspicuous in the World Summit on Sustainable Development (WSSD); we collaborated with various environmental groups around the world in order to raise their respective voices to protect not only Korean natural resources and ecosystems, but the common global resources as well. Not only, the KFEM is an active observer under the Green Climate Fund (GCF) which the organization consistently attends conferences to monitor and guide international leaders to harness funds that can be used in eligible purposes.